This volume brings together Nussbaum's published papers on the relationship between literature and philosophy, especially moral philosophy. The papers, many of them previously inaccessible to non-specialist readers, deal with such fundamental issues as the relationship between style and content in the exploration of ethical issues; the nature of ethical attention and ethical knowledge and their relationship to written forms and styles; and the role of the emotions in deliberation and self-knowledge. Nussbaum investigates and defends a conception of ethical understanding which involves emotional as well as intellectual activity, and which gives a certain type of priority to the perception of particular people and situations rather than to abstract rules. 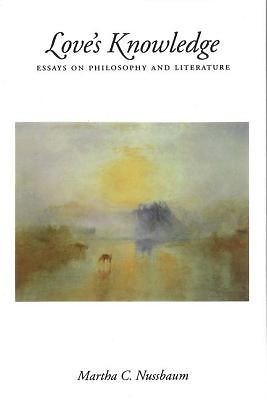 She argues that this ethical conception cannot be completely and appropriately stated without turning to forms of writing usually considered literary rather than philosophical. It is consequently necessary to broaden our conception of moral philosophy in order to include these forms. Featuring two new essays and revised versions of several previously published essays, this collection attempts to articulate the relationship, within such a broader ethical inquiry, between literary and more abstractly theoretical elements.